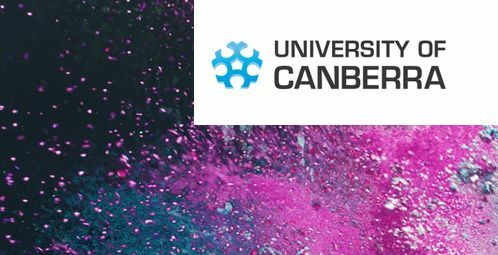 We love spreading the Merrymaker word, so when our uni (the University of Canberra) wanted to chat to us about our achievements so far, of course we said YES! Thanks to Daniel for the super fun interview and amazing article! Our 7 Tips to Become an Online Star can be found HERE! After meeting Carla and Emma Papas it is impossible to walk away without a smile. The duo- better known as The Merrymaker Sisters– perfectly embody the fit, fun, happy and healthy lifestyle they promote through their hugely popular blog and social media channels. Scratch the surface though and you will quickly realise that beneath the bubbly, almost innocent exterior are two very savvy marketing and business minds. In only a few short years the girls have built a following of more than 40,000 on Instagram, been liked more than 20,000 times on Facebook, appeared on the cover of magazines, been featured on national television and have even collaborated with some of the world’s biggest brands including Microsoft, Reebok and Fitness First. To cap off their meteoric rise, the girls will this month launch their first hardcopy book ‘Make it Merry’ to their eager fan base of followers and subscribers. But it’s not only a healthy lifestyle message that the girls have to share with the world. They are equally passionate about encouraging others to follow in their footsteps in doing that they love, not only as a hobby, but as their career. Carla and Emma recently shared their journey so far with us, along with seven key steps for anyone aspiring to start their own entrepreneurial journey, or even their own part time blog.